Wow, another MIPS running Windows NT appears in the wild! This is a great tear down, and look at a MIPS desktop from back in the day, sold to run Windows NT. It’s hardware shares a lot from PC’s of the era, from the AT keyboard, serial mouse, ISA slots, with a VL S3 video card. One day I hope to get a MIPS NT machine, although they are incredibly rare to find. However the stubs in all the exe’s reference exegcc98 exegccv DOS extender’s along with a exegcc. However googling around yields nothing. Running on a x86 version of Windows, however the tools run and report gcc 2.7.2 release 1.2 and the binutils version is simply 2.6 with BFD version 2.6. So going with this, and the request to keep it 1997 vintage I went ahead with Gcc 2.7.2.3 and Binutils 2.8.1 as they are the end of the line in both trains of code. 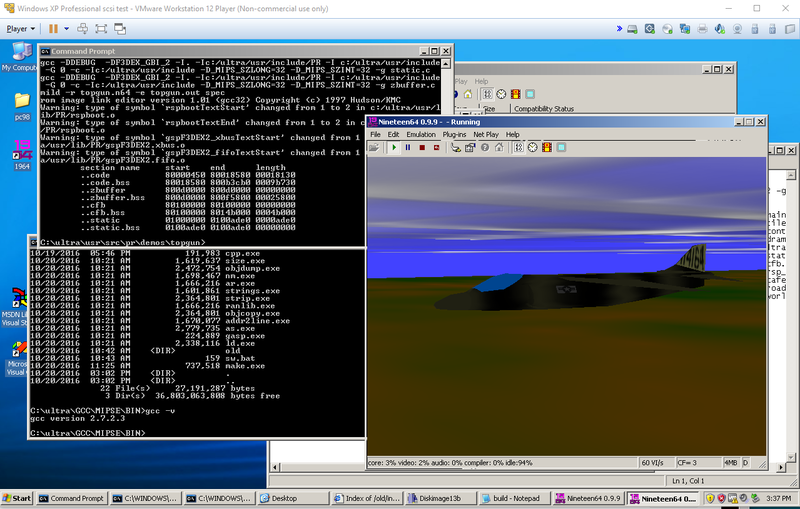 I guess I should add that I build with TDM GCC 5.1, and I use the incredibly ancient MSYS-1.0.11-rc-1. But it’s enough to bootstrap and build with! Since my GCC is much newer, I did have to finagle some things. Here is a quick list of my notes on what I had changed, and some justification. make sure this uses MS-DOS rb wb type constraints! There is no sbrk on my MinGW32 … so comment out all the sbrk stuff. My sed LOVES UNIX style text files, so this one shouldn’t be in MS-DOS CRLF format. mkdir only accepts the path on Win32. Also there is now chown. ‘__inline’ for is_reserved_word needs to be commented out. Set like the following for both ASM_FINAL_SPEC to prevent the t-mips from trying to be run. Just because we are on Windows NT, doesn’t mean we want an .obj object suffix. So at the end I have a cross compiler, and I can generate object files, and link files that the final tool MILD can then use and produce N64 ROM images. It’s not a 100% solution, as I don’t see any mention of MILD being GNU, however the compiler and binutils is running on Windows 10 x64! I built a few demos and tested with the 1964 emulator. LiteBSD is a 4.4 BSD derived OS for PIC32MZ microcontrollers. And to make things more fun, Serge Vakulenko has a Qemu fork that includes these simulators so you can run them on Linux and OS X. So what about us poor Windows users? Well a few tweeks, and only one annoying bug remains, but it’s easy enough to sidestep and it runs! 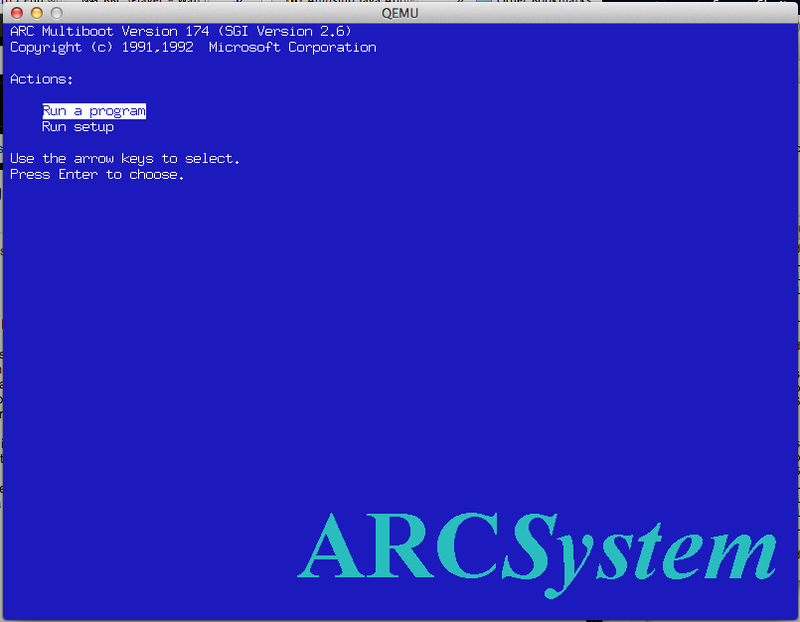 Even better, I got the console to kind of work, although you can still control+c it to kill Qemu. I guess I could capture the signal being kind of UNIXy. So you need a dummy file named litebsd.img (it’s just junk but it needs to exist), so whatever is blocking it will block it, then let pic32_sdcard_init open the file litebsd.img.SD which is the real file. WARNING: Image format was not specified for ‘litebsd.img’ and probing guessed raw. Specify the ‘raw’ format explicitly to remove the restrictions. 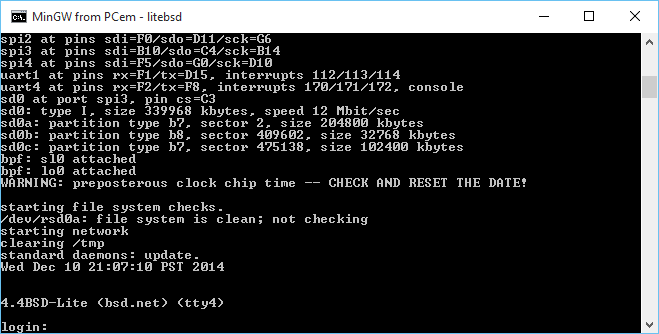 WARNING: preposterous clock chip time — CHECK AND RESET THE DATE! In this case, I prefer to use the ‘wait’ portion of the server, so I can watch it boot. Maybe I’m just weird. But this way you can control+c to your hearts content. As always, you can download my image here. And use control+alt and hunt around for s3, and you’ll have your console….. That you can’t paste into. **EDIT I found out I forgot to link this with static libgcc so there were missing DLL’s. sorry, I’ve re-linked and now it’ll just work out of the box (tested with clearing my path on Windows 10). Next I need to add curses support. As many of you Windows NT MIPS fans may know (apparently there are more than 3 of us now!) the MIPS Magnum target is broken in the current build of Qemu. The problem lies in the firmware as it accesses unassigned memory.  Luckily I just received an email from Hervé that details how to fix this! And you’ll be able to boot up the NT PROM. Where I’m keeping my NT PROM is /tmp (although that is probably a bad idea…) But you’ll need the NVRam stuff to add extra space for the ethernet MAC address. The clock is always trashed but at least it is doing something this time! For the uninitiated, some installation notes can be found here. Unbeknownst to the world, retail versions of GoldenEye contain a ZX Spectrum 48x emulator, merely lacking a program monitor and user access. This video displays the results of a nifty little patch to re-enable the content. In total, nine games are embedded. Each is mapped to keypresses on controller 3. The original access point couldn’t be determined, so now you load the games while on the folder select menu (menu 5). The video displays short sections from each of the games. (Forgot to map the A button, so Pssst won’t appear in this video.) The emulator is fully-compartmentilzed so you can leave, load another game, or play GoldenEye normally. Don’t pirate ROMs! In most countries you can legally make your own backup copies and apply the patch to those. No direct links to ROMs of any kind, patched or otherwise. Respect the Fuzz! Steve Ellis, who originally created the emulator, sent an email to clarify how the original Spectrum ROM was set up. Since it wasn’t included and the copyright has been lifted by Amstrad I’ve included the complete one with the patch. If there is any further issue I’ll reduce it to a copyright-unrestricted version. Here’s the letter though, and be certain to check out Crash Lab. Really! I see various posts about this on the web now. I thought I’d clarify the point about spec_rom.seg.rz – the contents of this file fill the bottom 16kb of the Spectrum’s memory. On the original Spectrum, the bottom 16kb would have included the whole operating system (the BASIC programming language, functions for loading from and saving to cassettes, etc.). Since the ROM is copyrighted we weren’t able to use it. However, some of the games that we were emulating wanted to call one or two Spectrum ROM functions. The solution to this was to create an empty ROM (99.9% filled with NOP’s), but with newly-created (copyright-free) replacements for the few short functions that the games needed to call. The games should run with this minimal replacement ROM. BTW, if you’d like to send any people in the direction of @CrashLab or facebook.com/CrashLab, I’d be grateful. We’re going to release something later this year that hopefully should appeal to fans of “old-school” games. For Steve Ellis’s letter and a snippet debunking DK64 Spectrum emulation. Also, check out Steve’s latest venture at Crash Lab. Expect some great stuff out of there! So after a bunch of messing around I managed to get it run.. kind of. I think the php file that proxies the filesystem is broken as I get something like this from the now broken main js page.. Which.. isn’t right enough. I’m not sure what is up with dir.php ..
Oh well, I was able to build a simple hello world type program, but anything that hopes to pull data off the drive won’t work. If anyone thinks they can do better my archive of all the bits is here (48MB), and the ‘runnable’ version is here .. hi is about as much fun as it’ll get. 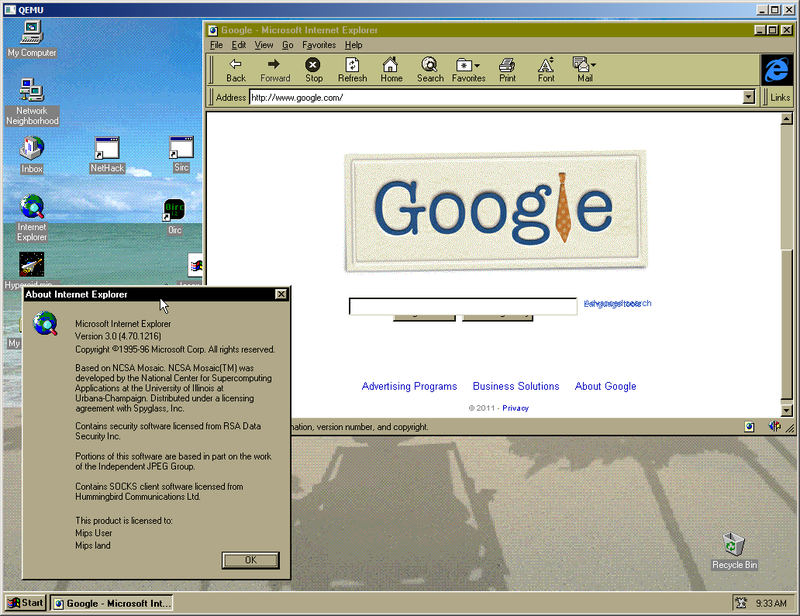 Internet Explorer 3.0 for the MIPS. I got a tip that there actually was a version of Internet Explorer 3.0 for the MIPS. I was thinking there was no way, as there was no mention of this thing as IE 3.0 came out after the MIPS had been dropped from the roster. Well luckily it turns out to be true. The original download link is here, and I’ve mirrored it here. Who knows what other things are out there for the MIPS? Author neozeedPosted on June 19, 2011 Categories internet explorer, mips, Windows NT 4.02 Comments on Internet Explorer 3.0 for the MIPS.